Are drivers relying too heavily on new safety features in their vehicles? COLUMBUS — Many drivers are unaware of the safety limitations of advanced driver assistance systems (ADAS), which are rapidly being offered as standard on new vehicles, according to new research from the AAA Foundation for Traffic Safety. Lack of understanding and confusion about these technologies can lead to misuse and over-reliance on the systems, which could result in deadly crashes. In 2016, 37,400 people died from traffic crashes on U.S. roads — a five percent increase from 2015. Ohio’s traffic fatalities are also on the rise. According to Ohio State Highway Patrol statistics, 1,179 people died in traffic crashes on Ohio’s roads in 2017 — a 16 percent increase from 2013. The AAA Foundation found that if installed on all vehicles, ADAS technologies can potentially prevent more than 2.7 million crashes, 1.1 million injuries and nearly 9,500 deaths each year. To better understand driver interaction with ADAS technologies, the AAA Foundation for Traffic Safety commissioned researchers from the University of Iowa to survey drivers who recently purchased a 2016 or 2017 model-year vehicle with ADAS technologies. Researchers evaluated drivers’ options, awareness and understanding of these technologies and found that most did not know or understand the limitations of the systems. Blind spot monitoring: 80 percent of drivers did not know the technology’s limitations or incorrectly believed the systems could monitor the roadway behind the vehicle or reliably detect bicycles, pedestrians and vehicles passing at high speeds. 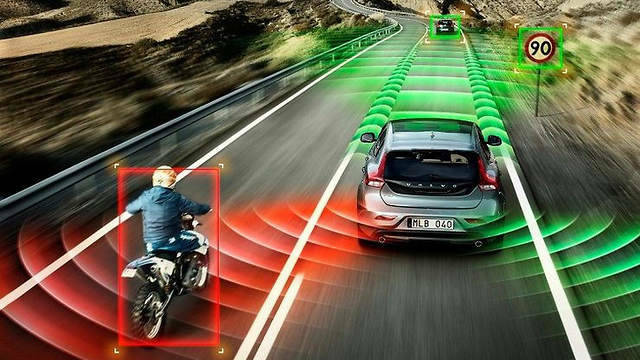 In reality, the technology can only detect when a vehicle is traveling in a driver’s blind spot, and many don’t reliably detect pedestrians or cyclists. Forward collision warning and automatic emergency breaking: Nearly 40 percent of drivers did not know the systems’ limitations, or confused the two technologies – incorrectly reporting that forward collision warning could apply the brakes in the event of an emergency, when the technology is only designed to deliver a warning signal. About 25 percent of drivers using blind spot monitoring or rear cross traffic alert systems report feeling comfortable relying solely on the systems, and not performing visual checks for oncoming traffic or pedestrians. About 25 percent of drivers using forward collision warning or lane departure warning systems report feeling comfortable engaging in other tasks while driving. Despite the findings that show confusion about some ADAS technologies, at least 70 percent of vehicle owners report that they would recommend a given technology to other drivers. These findings should prompt additional focus on the importance of educating new and used car buyers about how safety technologies work. “Automakers have an ethical and important responsibility to accurately market and to carefully educate consumers about the technologies we purchase in the vehicles we drive off the lot,” said Yang. Only about half of the drivers who report purchasing their vehicle from a car dealership recalled being offered a training on the ADAS technology. However, for those who were, nearly 90 percent took advantage of the opportunity. See it in action: When shopping for a vehicle, insist on an in-vehicle demonstration and test drive to better understand how the systems will engage on the roadway. Ask questions: Ask plenty of questions about the alerts, functions, capabilities and limitations of the vehicle’s safety technology before leaving the dealership. For additional resources, visit AAA.com/DriverAssistanceSystem.